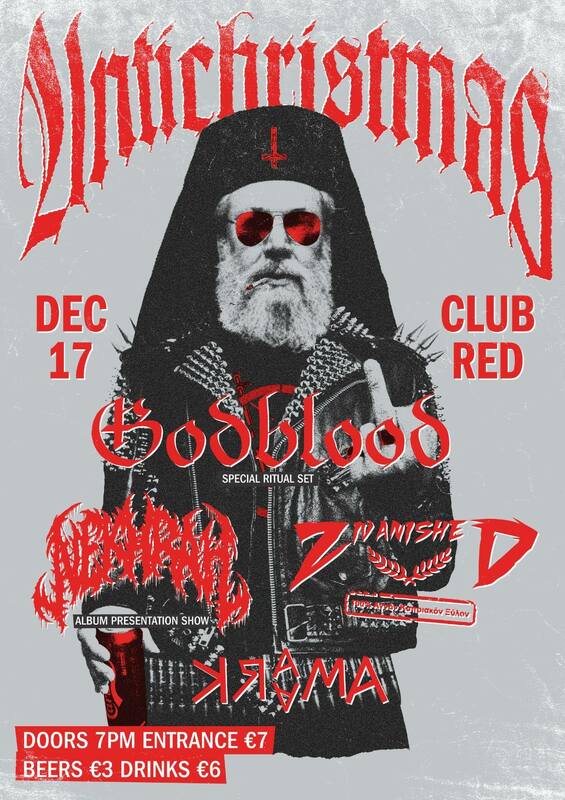 We will be celebrating Antichristmas this year on this unholy brutal gig! 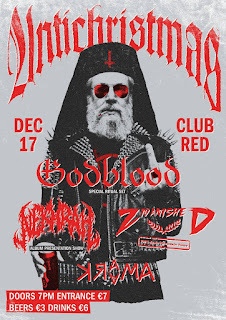 Godblood will be delivering a special ritual set with their morbid stage performance. 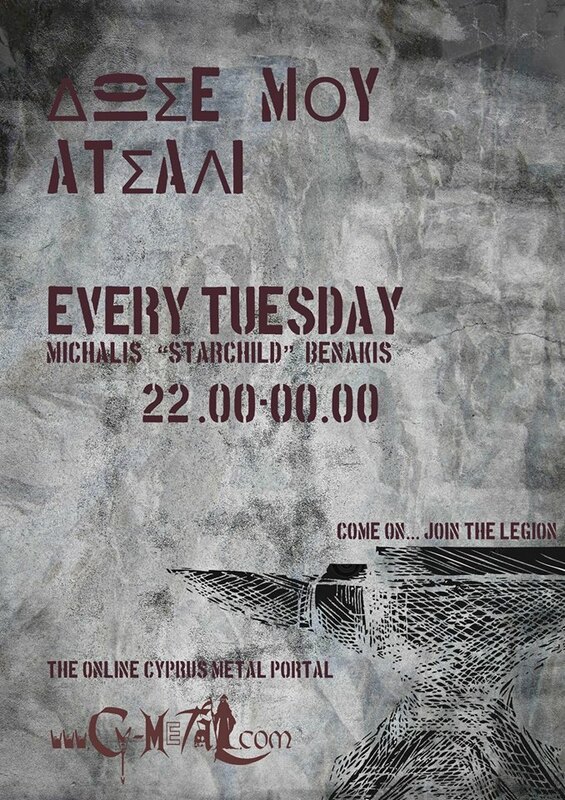 Nekhrah will be presenting their new killer album" Cosmic Apostasy". Zivanished will be exploiting pure Cypriot brutality (ttopuzi) and Kraama will delivering the best death metal with their unique live show. Special prices at the bar. Beer 3 euros. Drinks 6 euros.